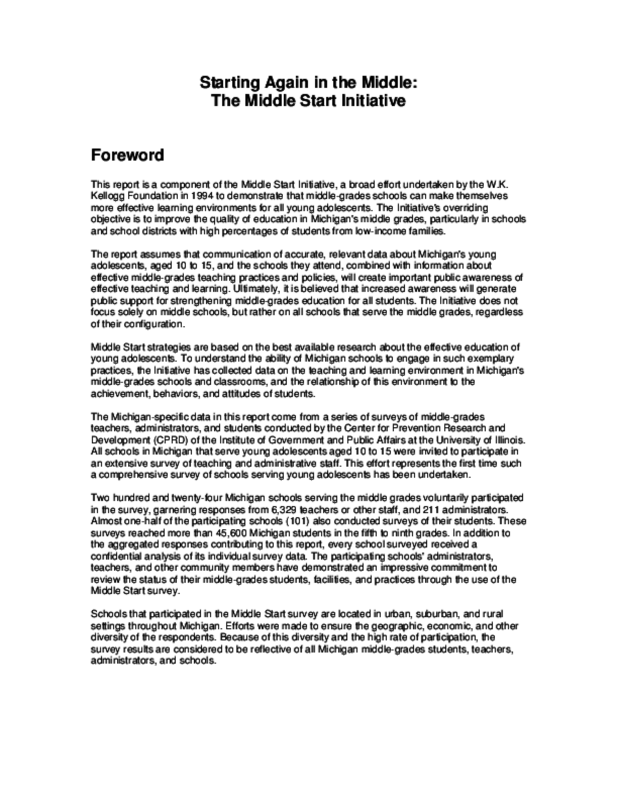 Combines responses garnered from a series of surveys of middle-grade teachers, administrators, and students from 224 schools and other available information to describe Michigan middle graders and their school experiences. Copyright 1996 W.K. Kellogg Foundation.